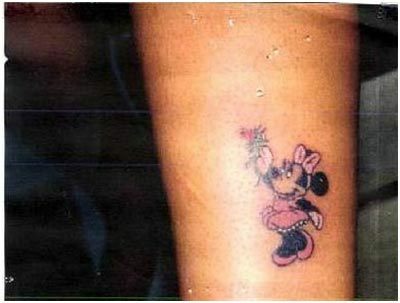 Tattoos have become an important style statement for the current generation. We grew up watching these cartoons and have become attached to them. My favourites are Spiderman and superman. Many people tend to fancy such cartoon characters. 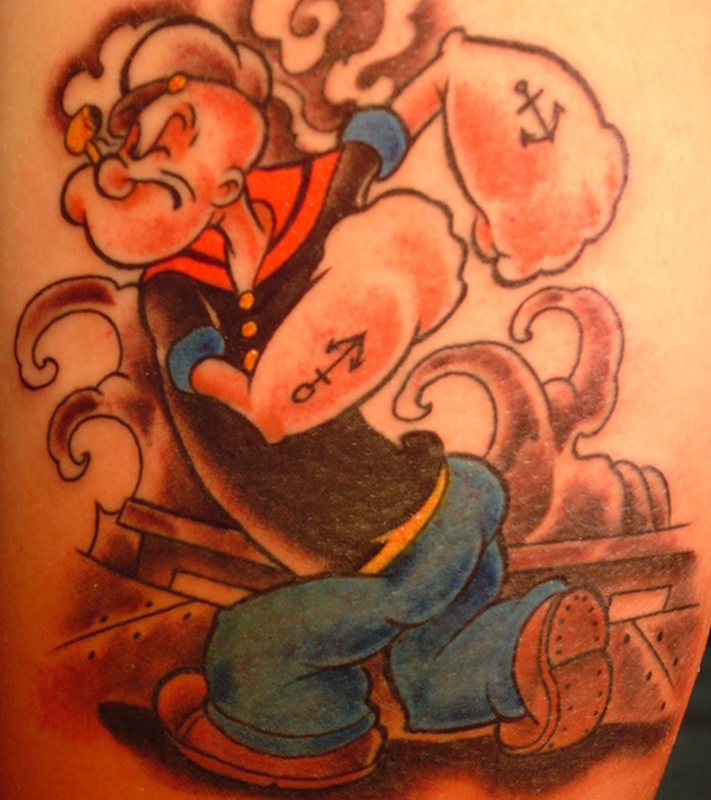 Some of them also get their favourite cartoons inked as tattoos. Remember once we used to love the sailor a lot? 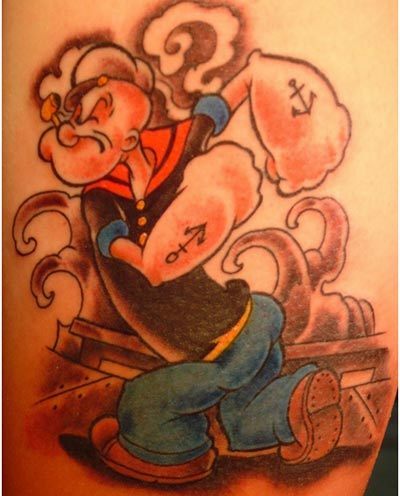 If you have an attachment towards this cartoon and still love to watch it, consider getting a tattoo of popeye done. Remember the fairy tales which your grandmother used tell you? The famous prince charming and beautiful princess stories. Girls are usually more attached to these fairy tales. 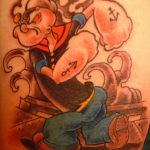 Tattoos depicting these fairy tale characters are also mesmerising. Girls often start relating there life with these fairy tale life and want to have their life like the one in fairy tale. 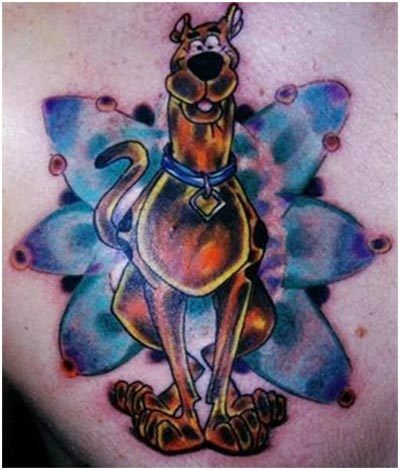 Scooby doo was our favourite dog in your childhood. Scooby with his four team members used to solve mysteries easily in an interesting manner. The cartoon was worth watching and is very famous. 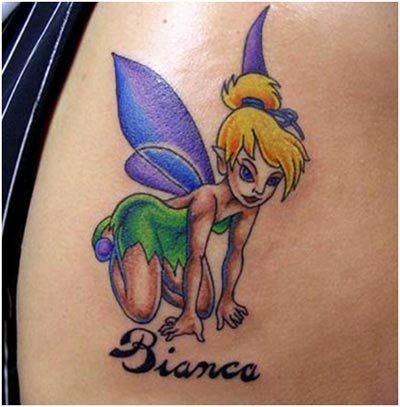 Getting a tattoo made of this character will help you remember your childhood days. Still wish to be a hero like the famous superman? Boys want to be a hero like superman and a girl wants a boy like him in her life. 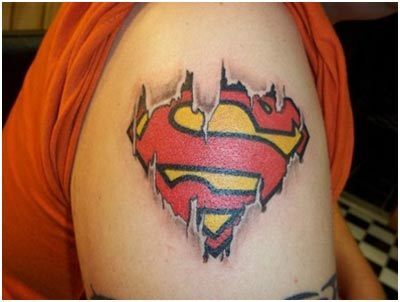 Superman tattoos are very common and loved by all. It shows your love for the super hero and how badly you want to be a one like him. Cute baby cartoons or girl cartoons are also captivating. 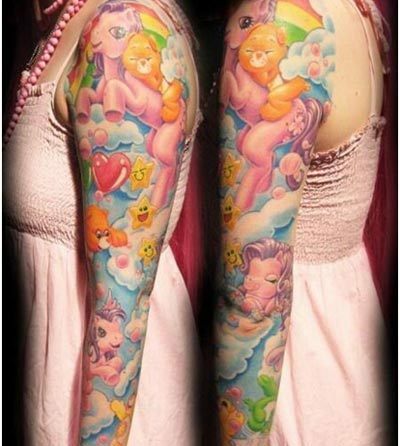 These tattoos show that you love simple things and want others to consider you cute. 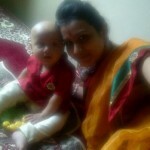 Teddy bears are one thing which girls often love even when they are in the age of 30s. Cute cartoon characters speaks a lot about you and your personality and have become very famous in today’s modern generation. Still love those electrifying devils in the cartoons? The complicated and powerful devil characters were also favourites of some. These characters were very powerful and used to show different skills. Getting tattoos of these characters made is a good idea if you personally love them. 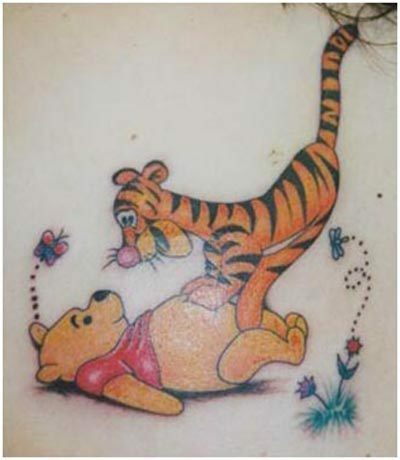 Winnie the pooh must be one of your favourites? The stories of this cute pooh bear are very interesting and appealing. This Disney character with all his friends used to enjoy and entertain us a lot. Getting tattoos of this character made is one of your best decisions. They are the famous Disney characters. There love and affection was worth watching. They were loved by both boys and girls. Love for complete horror was not appealing in childhood but funny horror used to be a good idea. 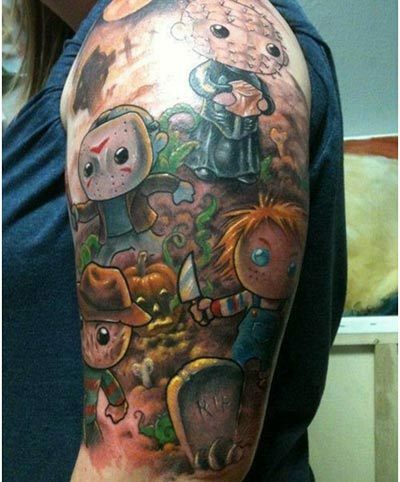 These horror cartoons were interesting to watch and getting tattoos made of these characters is a good idea. 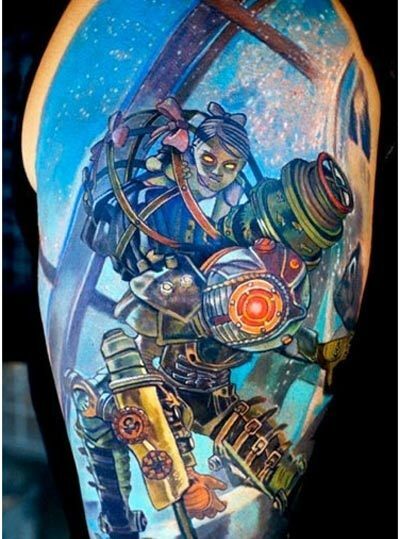 These tattoos often show your fascination towards them. 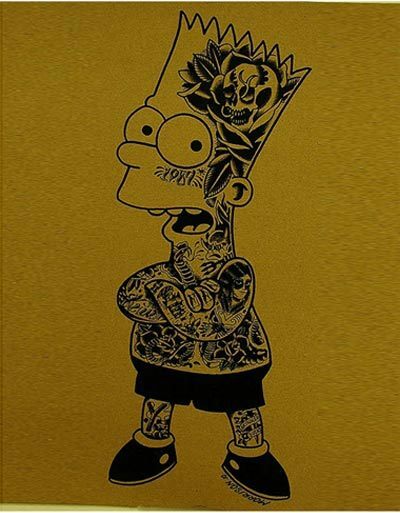 The Simpsons is the longest running cartoon series and our love for these characters can never be less.